The Best Thing on the Menu at the newly minted Pop’s SeaBar is a little blasphemous. That’s because it doesn’t come from the sea, and that’s the whole theme at this beachy establishment in Adams Morgan. 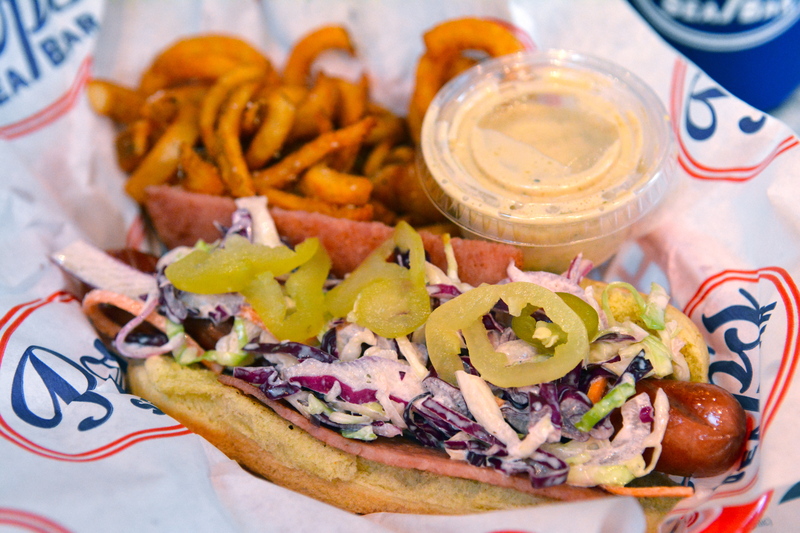 Rather, the BTM is a Jersey Dog with Taylor Pork Roll, Cole Slaw and Curly Fries. In the dish, a hot dog gets a hug from a slice of Taylor Pork Roll. It’s like a pig in a blanket, only the blanket is even more pig. The coleslaw adds creaminess and crunch. You’ll never want a naked dog again. The Taylor Pork Roll hailing from Jersey is not the only thing on the plate that should remind you of the Garden State. Served along side Pop’s expertly seasoned curly fries is a little tub of Jersey Sauce. This remoulade of sorts may have super powers. Just try it and you’ll see what we mean. In fact, you probably won’t have a choice about trying it when you step into the casual eatery, because it’s served with nearly every dish. 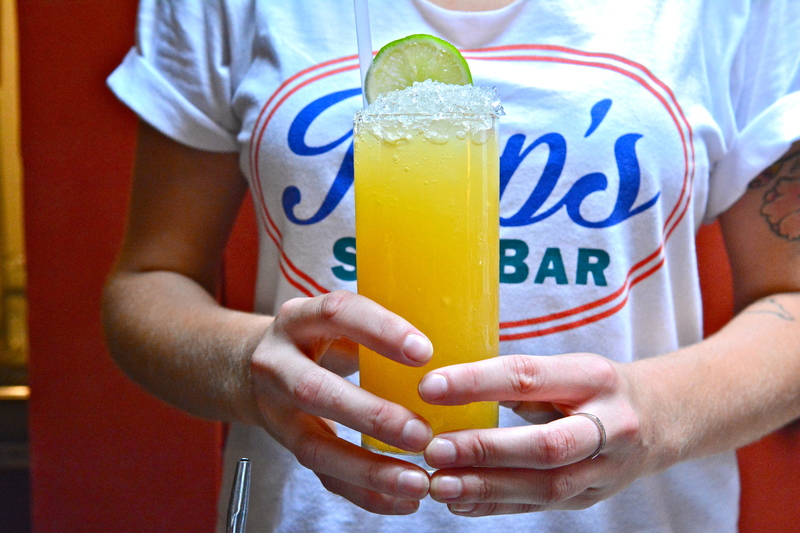 Wash down your Jersey Dog with a Maryland cocktail called an Orange Crush. It’s quite simple: vodka, aquavit, Combier, OJ, and lemon. The only thing that would make it better is if it came in a juice box. There are six other cocktails to choose from including the ice cream luge that’s been getting more attention than the cronut got nationwide. Jersey Dog not your BTM? Share your favorites in the comments section. Pop’s SeaBar is located at 1817 Columbia Road NW.